HP has released two Chromebooks for the school (education) market, the two of which have approved the MIL-STD-810G testing and have also a spill-safe keyboard in order to ensure they can deal with the truth of being in the hands of schoolchildren. 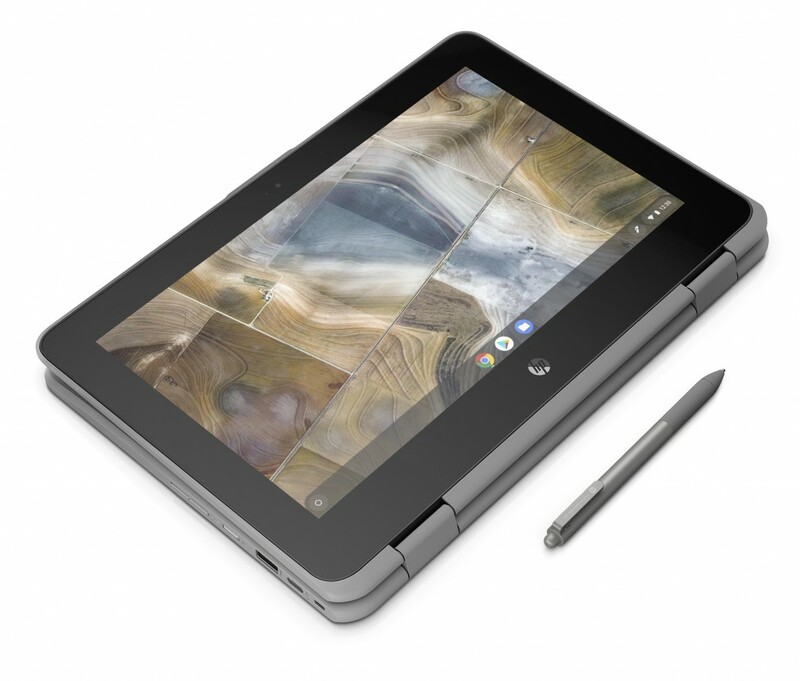 The HP Chromebook x360 11 G2 Education Edition comes with an 11” IPS tactile screen (1,366 x 768px). You can turn that screen into 360 degrees to use it in tablet mode, a Wacom EMR pen is supported. The Chromebook is controlled by either a double center Celeron N4000 or quad-center N4100 with 8GB of RAM and 32/64GB of capacity. The battery guarantees up to 11.5 hours long duration of intensity, and the entire setup is genuinely compact, weighing simply 1.47kg (3.24lbs). 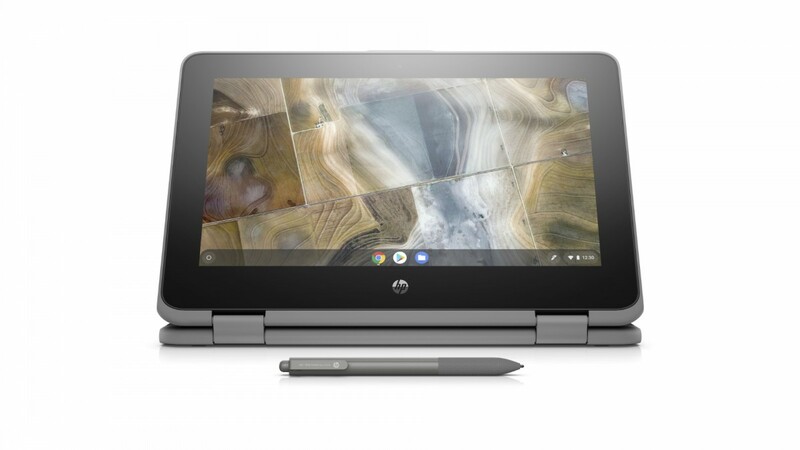 The HP Chromebook 11 G7 EE is basically a similar gadget, aside from its 11″ screen just turns 180° and is accessible in non-contact renditions – IPS and SVA (a Samsung VA board). Note that the non-touch adaptations have better battery life, as long as 13 hours. Both Chromebooks have two USB-C pots (Gen 1, 5Gbps), one USB-A and a 3.5mm headphone jack, plus an SD slot. The Chromebook x360 11 G2 EE and 11 G7 EE will be in stores in April, pricing will be announced later on.